The Gelarti Designer Studio lets you make a colorful, fun and exciting world on your walls. With the use of paint pens, glitter and 3D accessories you can paint and decorate peel off stickers! The studio rotates allowing you to remove the them and use them in other areas! It couldn’t be easier to use! Create all sorts of fun effects with the Gelarti Designer Studio! 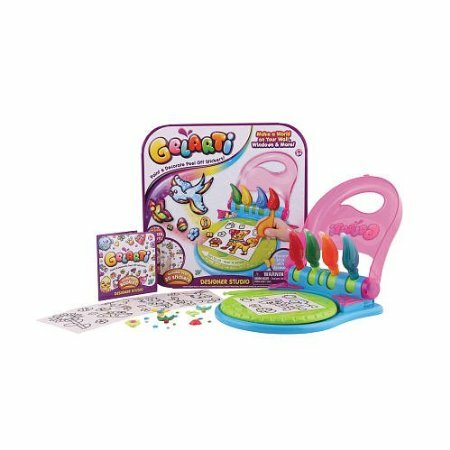 With the marbling tool you’ll enjoy making your own special creations and designs. The Studio can store four pens, 3D accessories, Gelarti stickers and the Marbling tool! This is a must have for every girl!